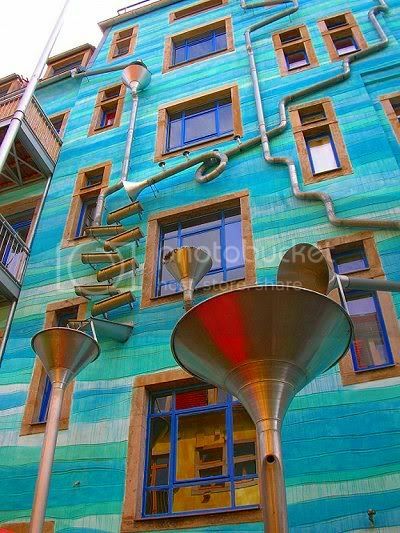 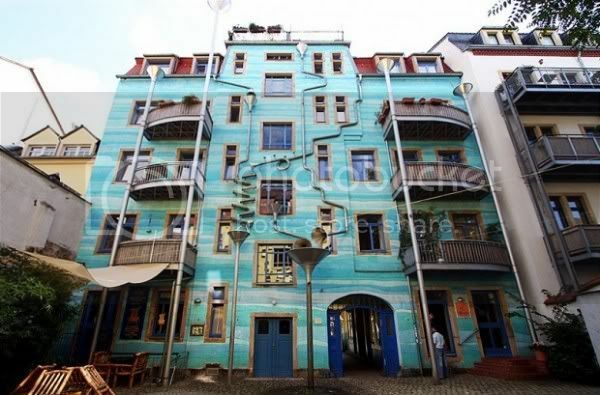 When it rains in Dresden, the funnels and pipes that grace this building play "rain-music". 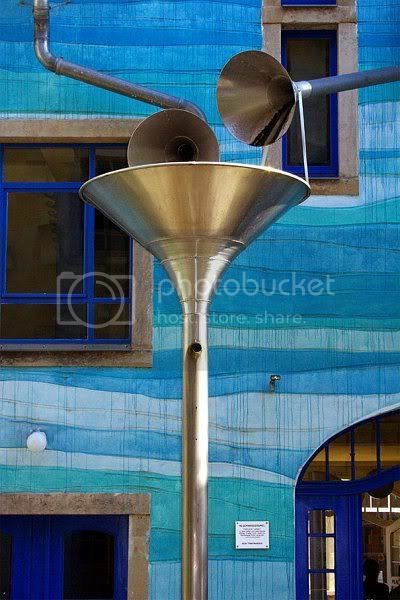 So it sounds like running water and people chatting? 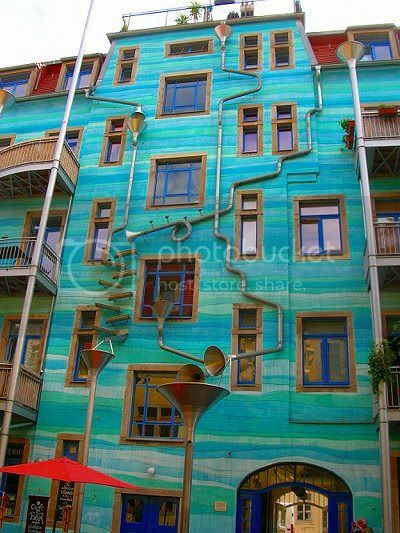 All I can hear is birds but perhaps the pipes are making that sound..?